emeraldemon: Note how this game has the same opening as /Stage 1 Game 4 where Xie He was also white. Through it's the same as the small Chinese fuseki, but approaches instead of drawing back at a.
emeraldemon: This sequence also has a similar feel to Xie He's fuseki in /Stage 2 Game 1, where White starts the tsuki-hiki joseki on the bottom right, plays on the top right, then comes back to complete a framework on the right side. emeraldemon: My positional judgement isn't strong enough to immediately say this is worse for W than the game, but I think it leaves less aji than the game sequence, which may be why W avoided it. tapir (1d kgs): With moves like b pretty much sente, and after a defensive move around a really suffers and may die soon. As opposed to the game, where eyes at the cut at c (so it became a sente move) and white settles. Now the black kosumi is weak despite all the stones black played in the area. emeraldemon: I could be wrong about this though. 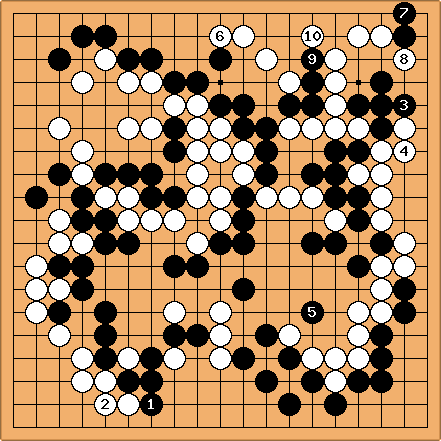 At first it looks like B103 captures the 3 black stones, but after white a , black b, through to e, black is behind in the capturing race. 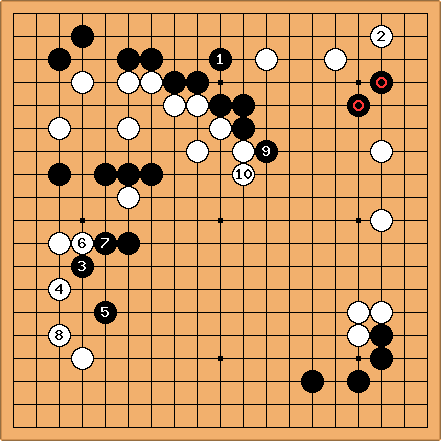 I think the move does have an indirect effect of preventing the cut against the stones in the upper right corner. 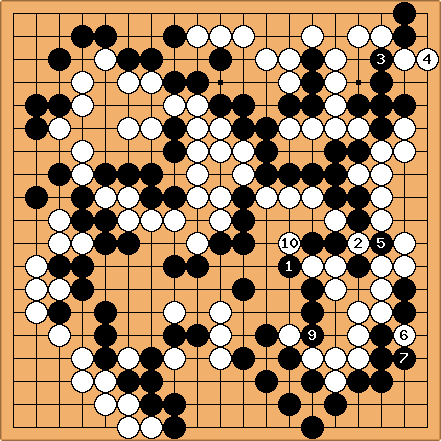 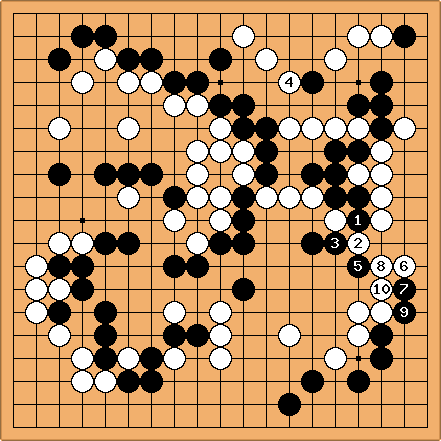 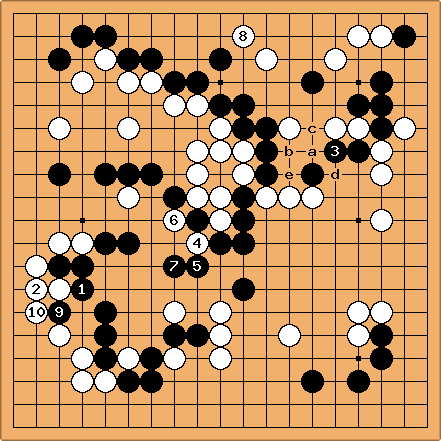 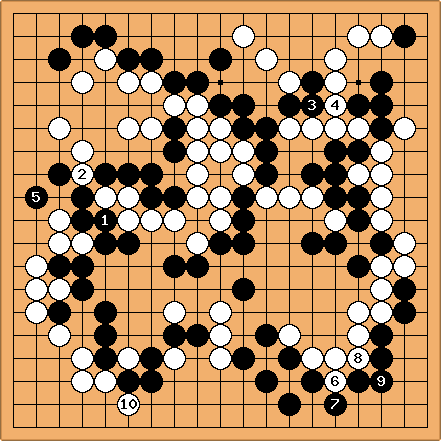 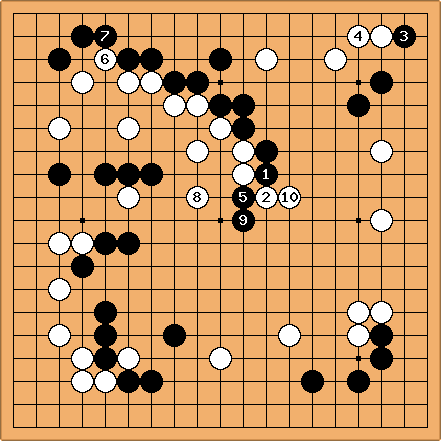 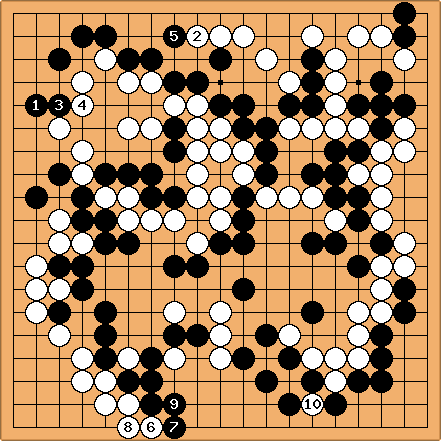 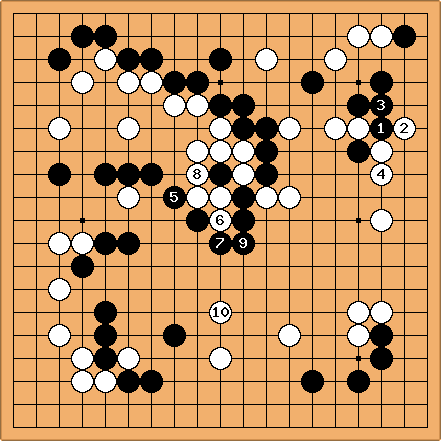 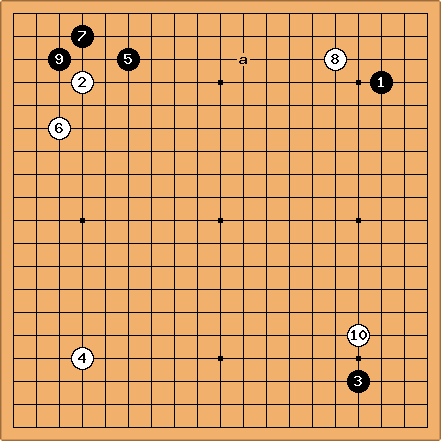 At the end of this sequence, black has given up the black stones in the upper right for the 4 white stones in the center. 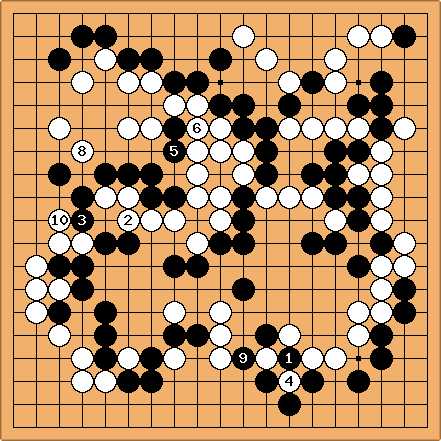 Does anyone else find it strange that white has won every game of the tournament so far? 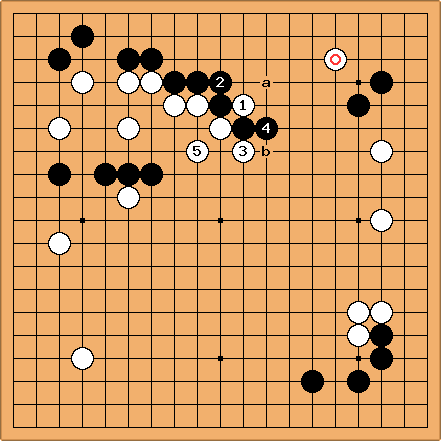 It seems the most important factor is nigiri!